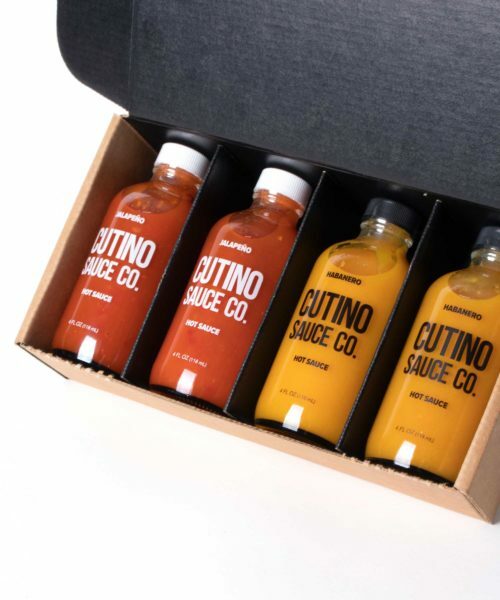 4-Pack - Cutino Sauce Co.
Our 4-pack is a perfect way to try our selection of sauces for the first time or an ideal gift to your hot sauce loving friends. Whether you choose the classic selection of our four core flavors (one Jalapeño, one Habanero, one Verde and one Chipotle), select from other popular combinations or build your own 4-pack, you can’t go wrong with this box full of spicy deliciousness. 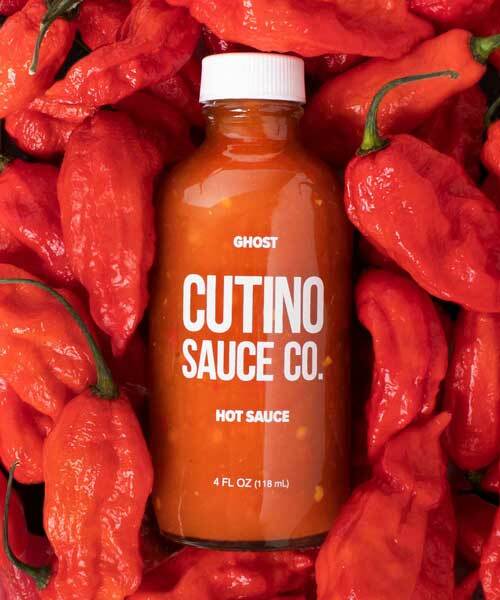 Hands down the best hot sauce I used in my red beans and rice recipe, and it’s never tasted better! I live in Louisville KY. but believe me, I’ll be buying online! 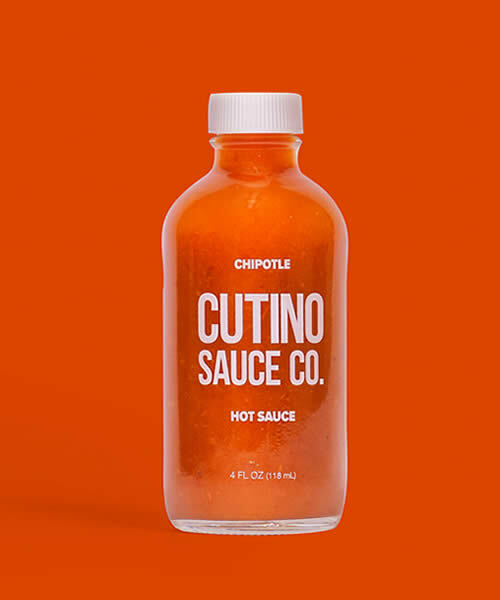 This has been our go to hot sauce since Jacob started! Made with love and it definitely shows! Met these guys at the Scottsdale Farmers Market on vacation this weekend, friendliest folks you’ll meet. Loved talking to people as passionate about food as myself, can’t wait to order more! 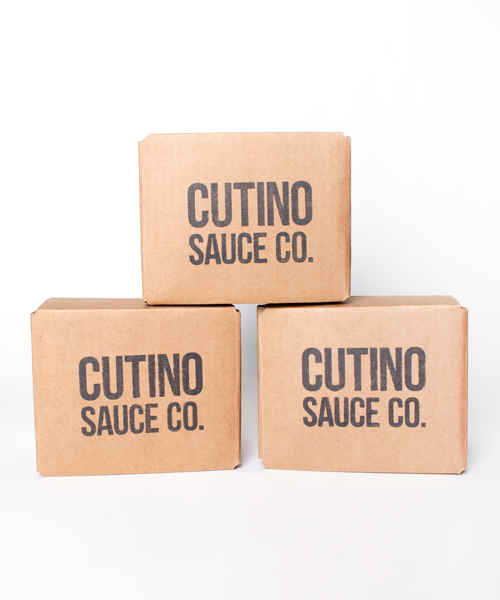 Our son brought Cutino home for the holidays last year. 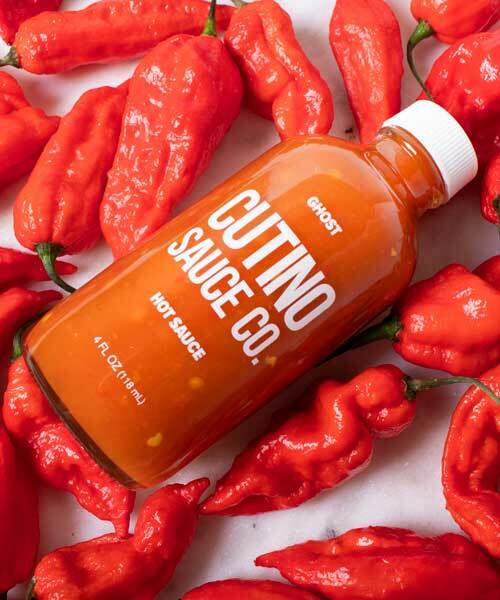 He had discovered them during a hot sauce tasting in Brooklyn. 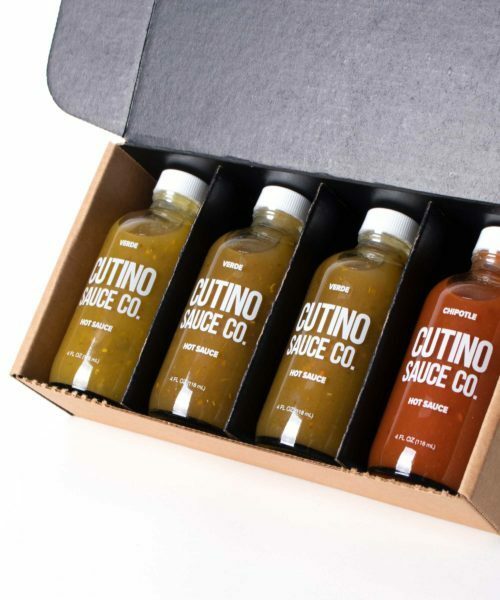 Finally, excellent hot sauces with delicious FLAVOR !! 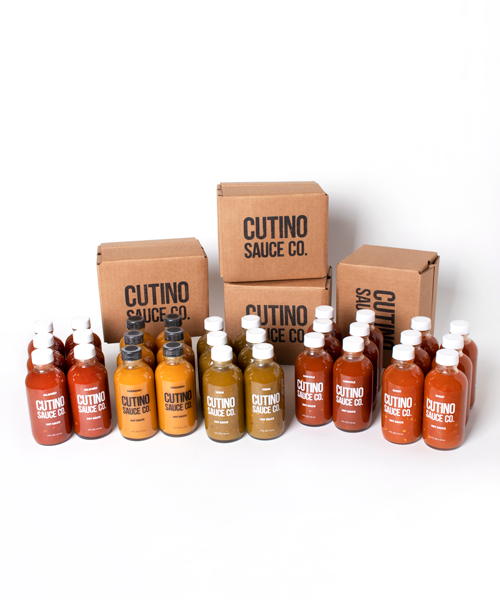 I personally love Every Cutino sauce I’ve tried and so does every family member that has received them as gifts! Best. Sauce. Ever. 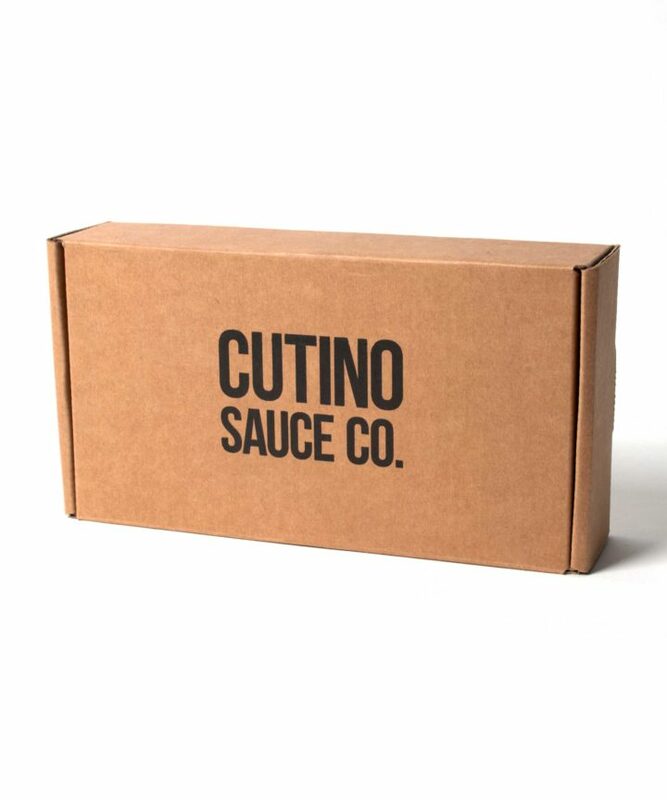 I love this sauce and put it on everything. The jalapeño is my favorite. So, so, so good! I love all the sauces. I purchased the 4 pack to try them all and I’m about to order 4 more. Excellent!! 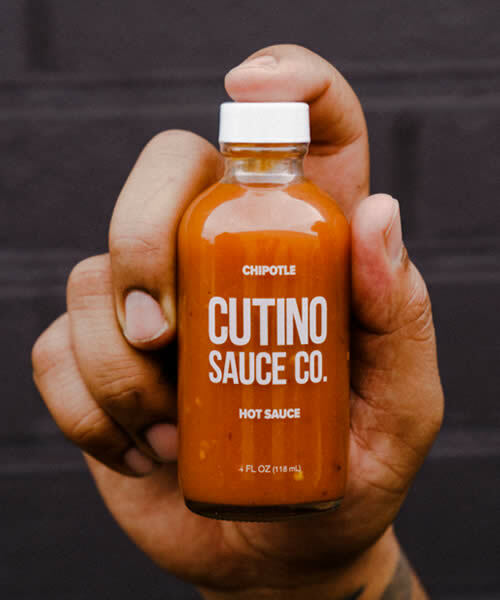 Everyone should try this sauce. Everyone. 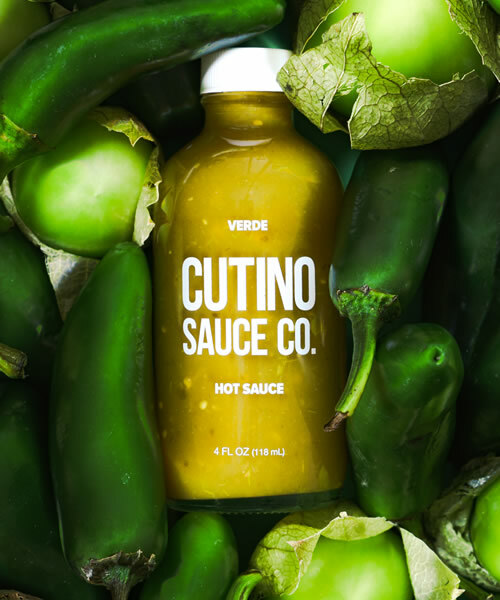 The chipotle is amazing on breakfast burritos, I put the verde in guacamole, but the jalapeno is by far my favorite and I put it on anything and everything. 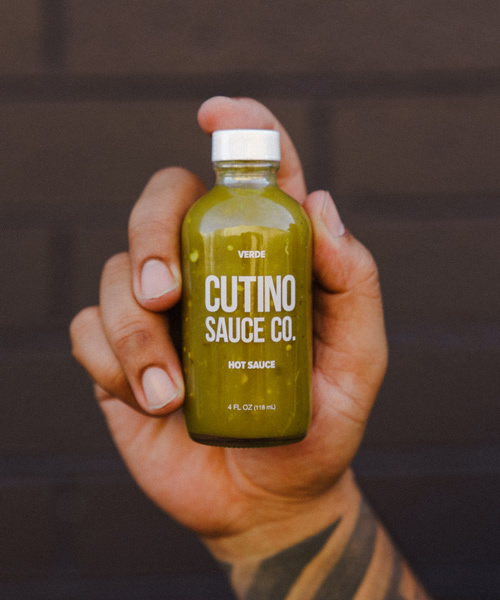 This hot sauce is flavorful and spicy! I’m hooked! 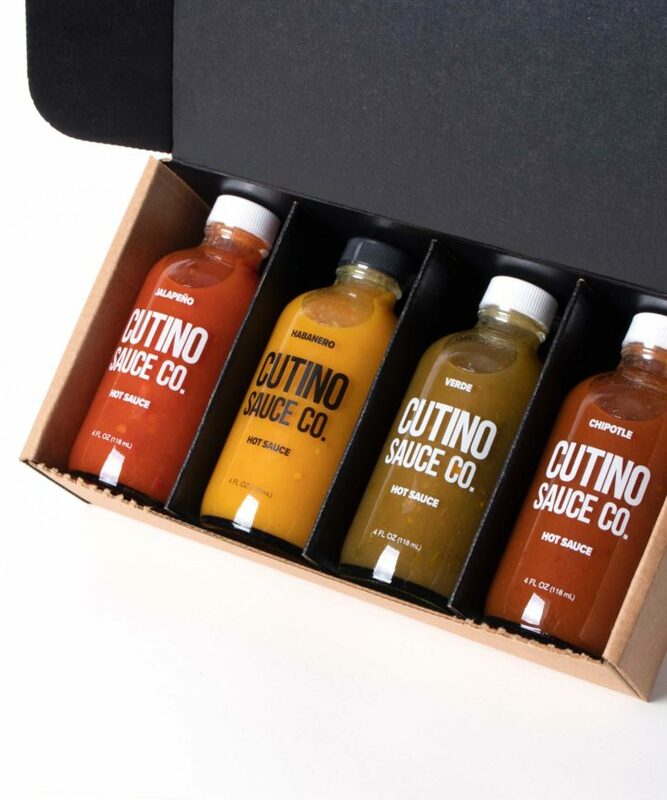 The gift box is a perfect way to share the love of my favorite sauces!